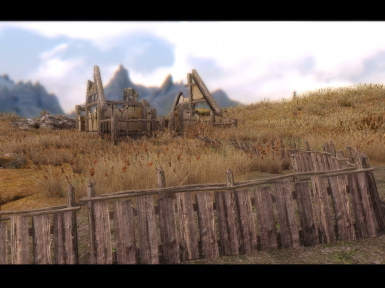 Tamriel Reloaded remake. 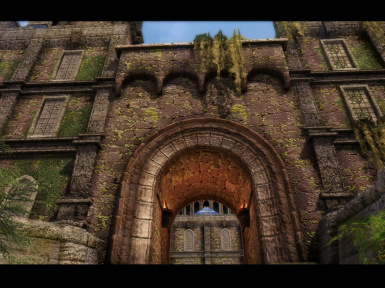 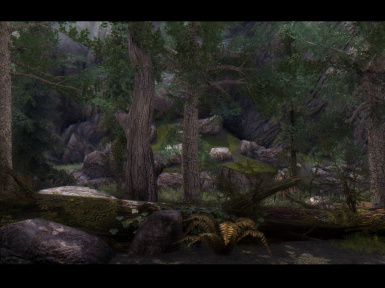 4k, 2k and performance 1k textures, parallax + parallax terrain, all TR mods in 1 and also unreleased TR mods included. 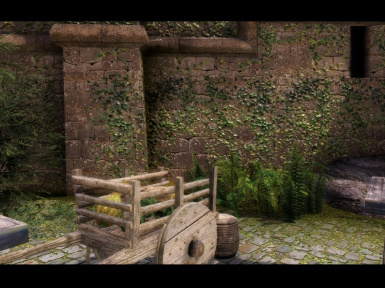 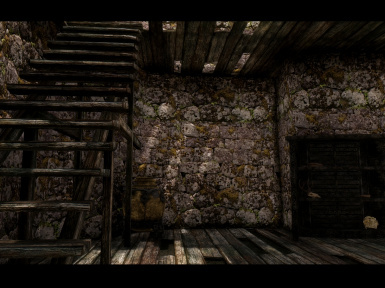 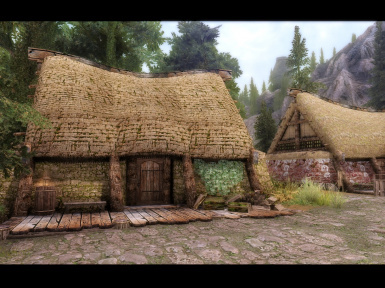 Many texture variations, not all houses/walls/trees/etc... with same textures. 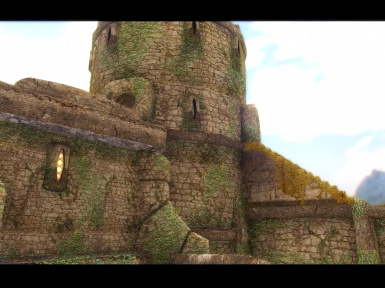 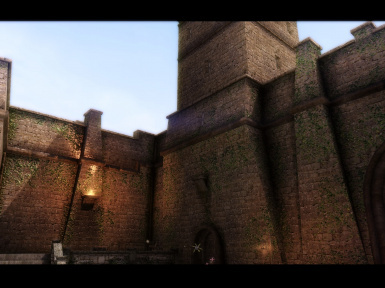 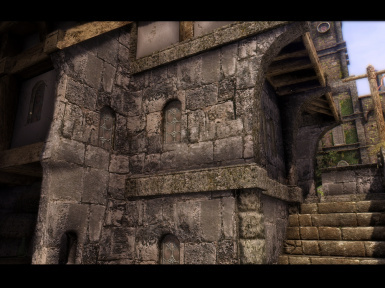 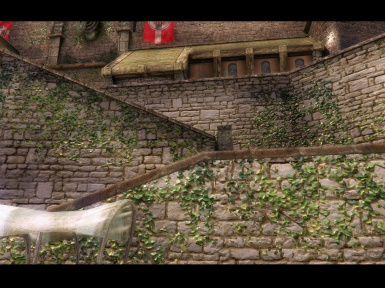 1- TR textures and parallax with better textures (2k and 4k) and more variety. 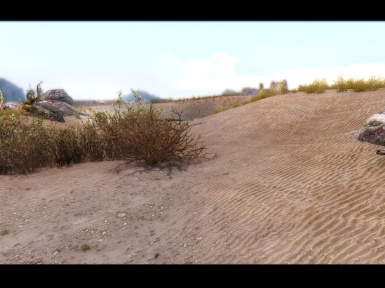 Also lot of fixes. 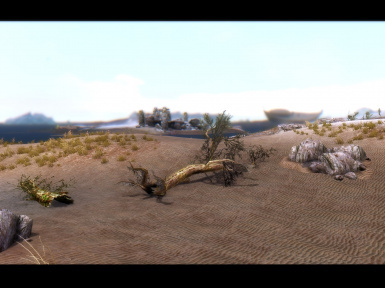 2- All TR mods in 1 esp. 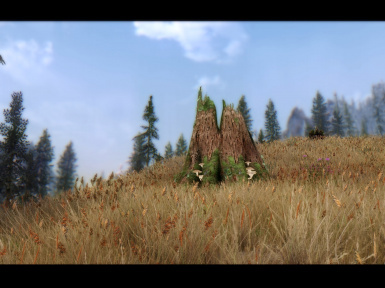 TR trees, TR grasses, TR mountains, TR interiors. 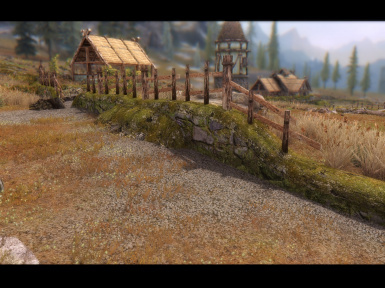 it also include Immersive roads with 4k textures. 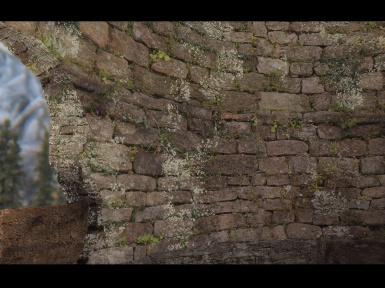 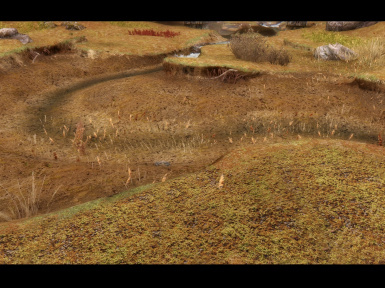 Also include a little .esp to fix mesh textures when using the parallax terrain. 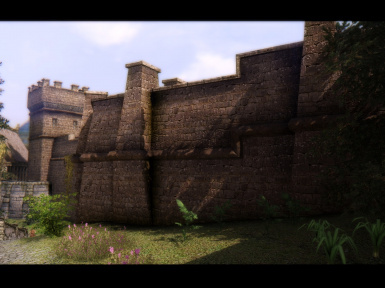 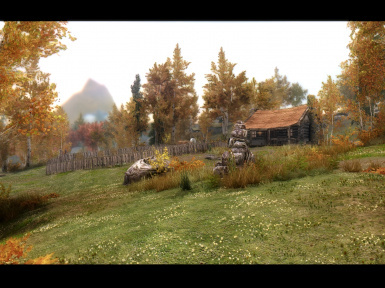 TR villages, TR nordic ruins and TR roads and landscapes. 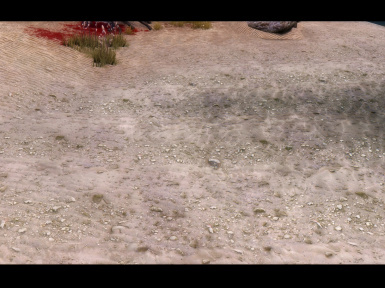 6- Different mines: Gloombound, Left hand, Shorts stone and Darkwater crossing mines have different textures according with mineral extracted (ebony more dark, etc..). 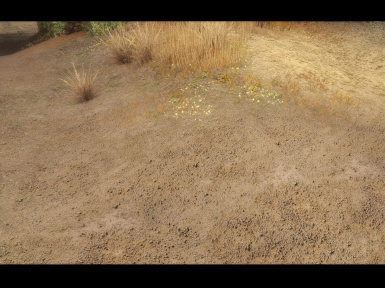 Tried to make more mines but too much work. 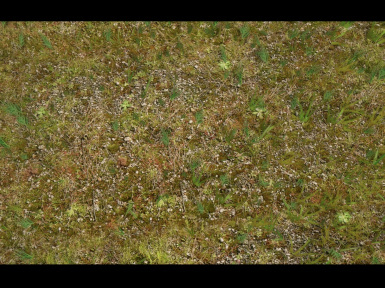 7- Like 10 different types of ivy and moss. 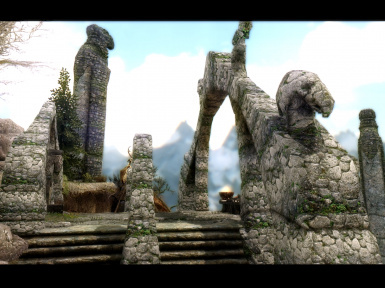 8- And the variety of TR mods. 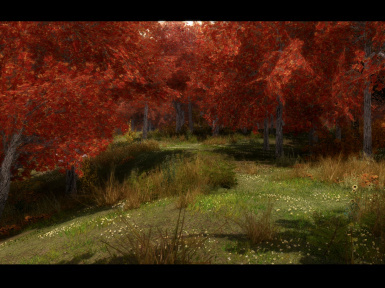 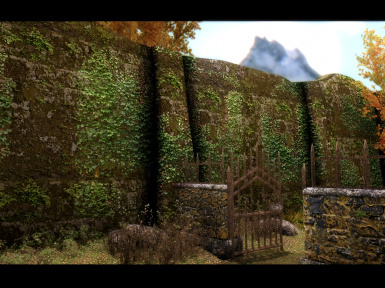 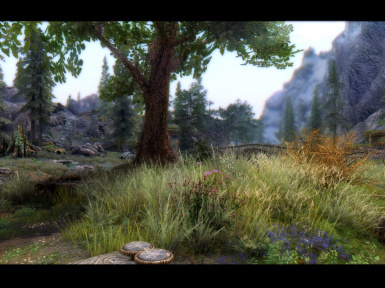 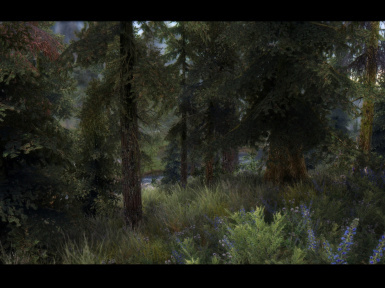 - 0.9a fixes some tree LODs in Riverwood bridge, some parallax terrain bugs, add parallax terrain to Solstheim and fix a missing texture. 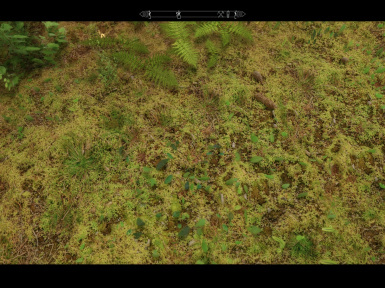 1- Download Tamriel Reloaded HD and copy content into Skyrim/data folder and click "yes" to overwrite when prompted. 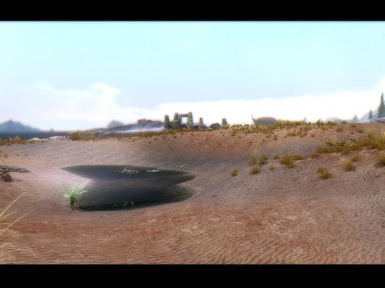 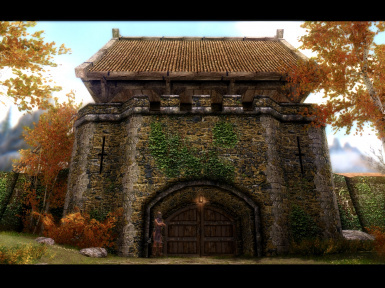 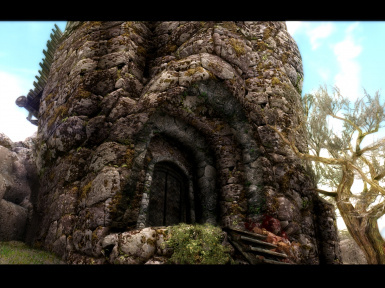 2- Activate the Tamriel Reloaded HD.esp in NMM. 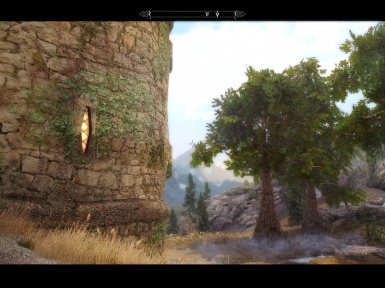 3- If you want to use any optional file install via NMM or copy content into Skyrim/data folder and click "yes" to overwrite when prompted. 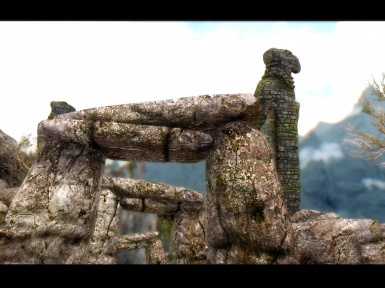 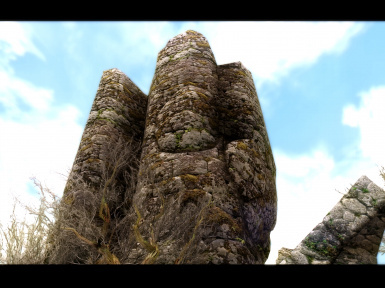 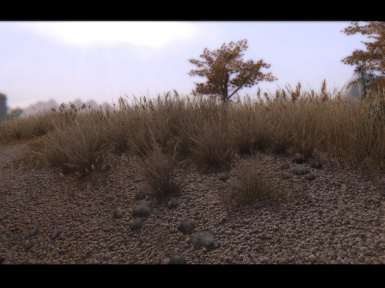 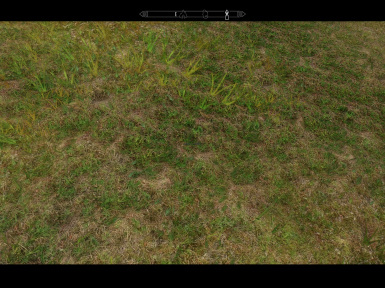 To get parallax terrain working you need the latest ENB (265+) or any preset that use it. 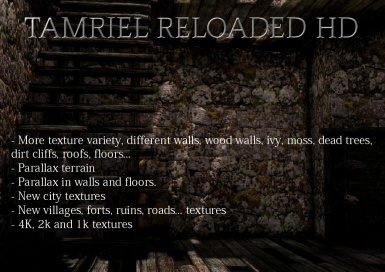 Tamriel reloaded must be installed and loaded in NMM the last if you want to use all features. 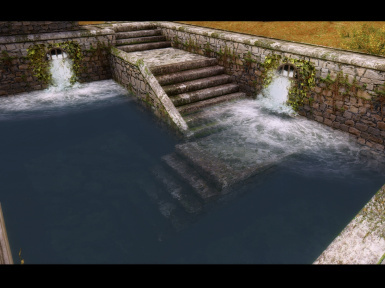 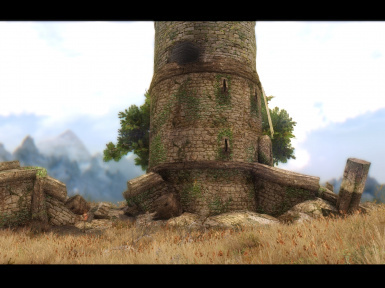 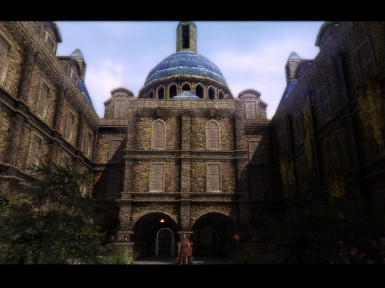 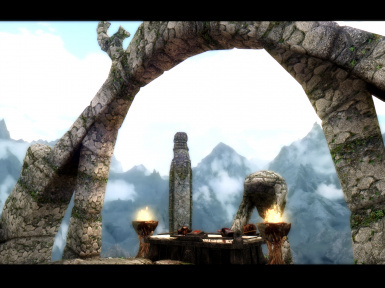 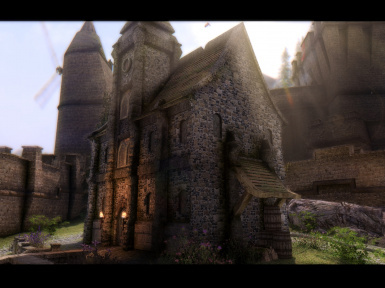 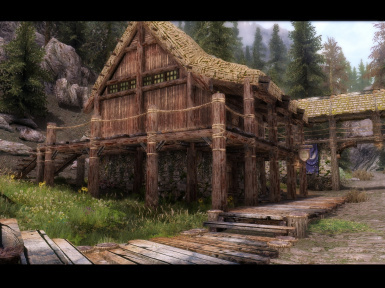 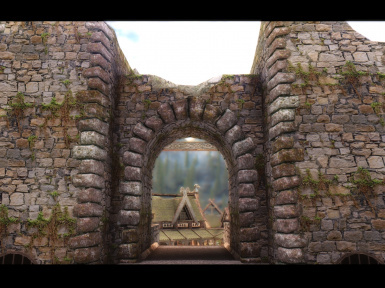 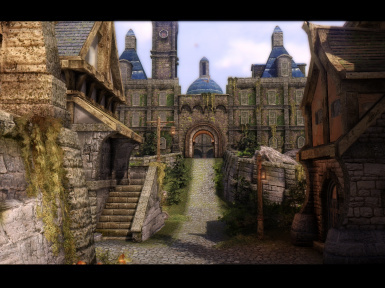 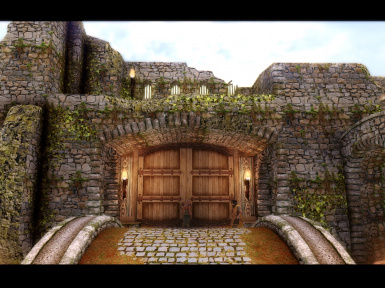 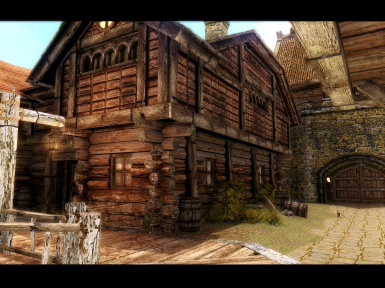 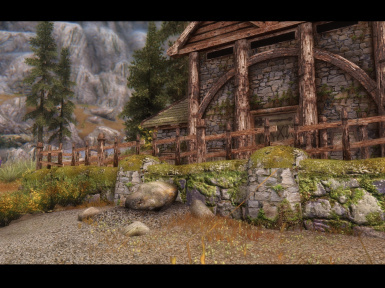 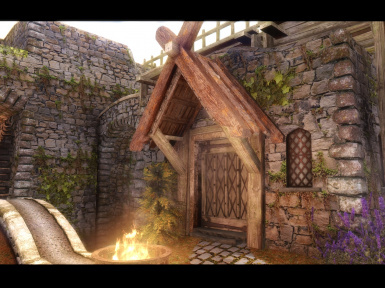 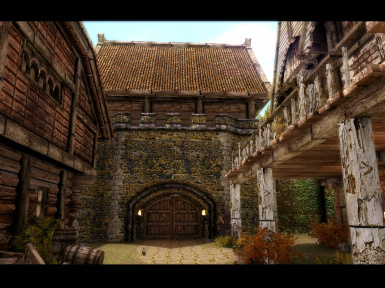 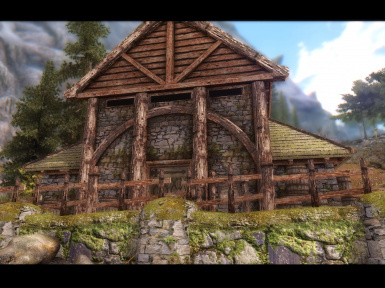 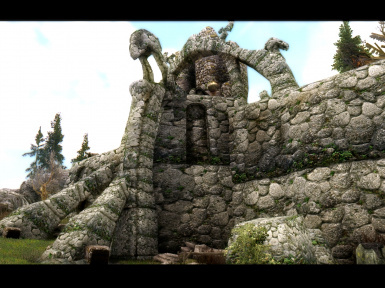 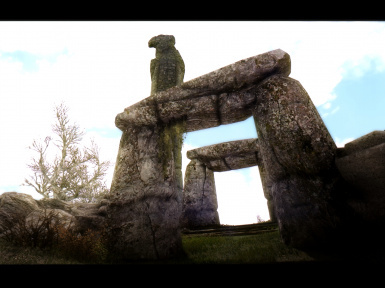 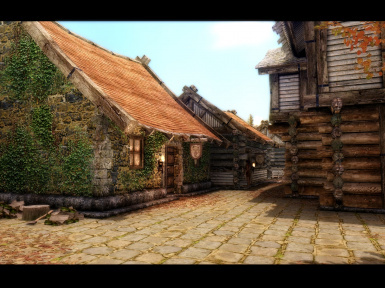 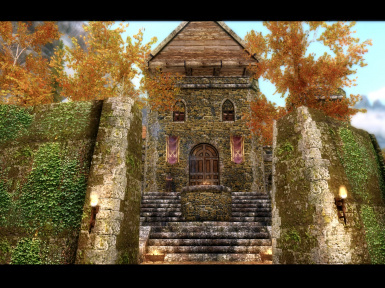 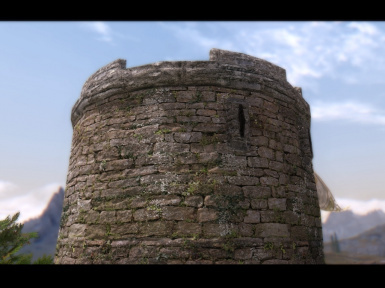 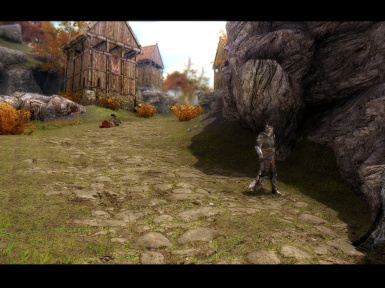 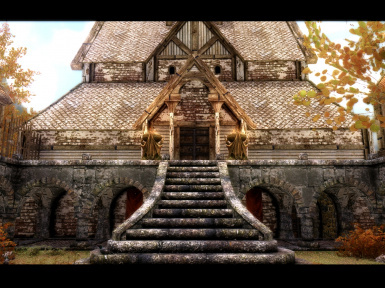 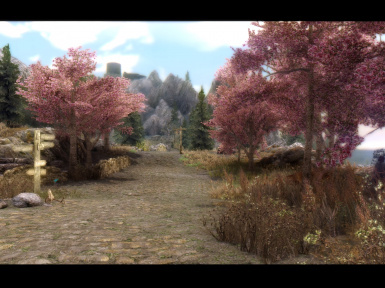 You can install any parallax and texture mod BEFORE. 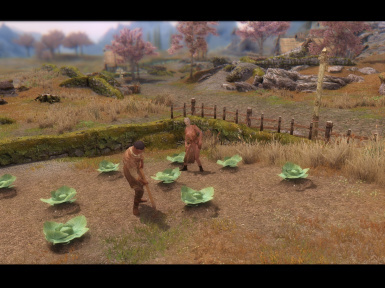 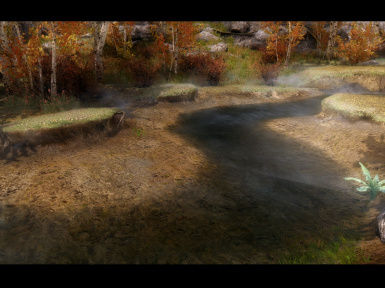 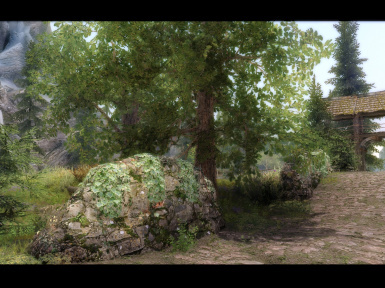 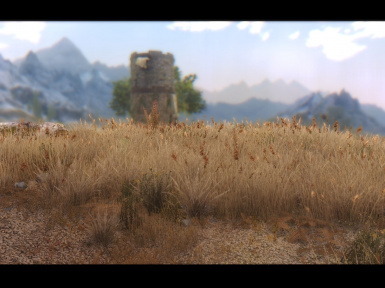 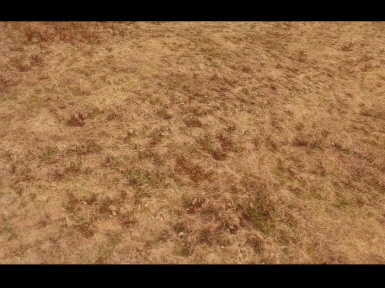 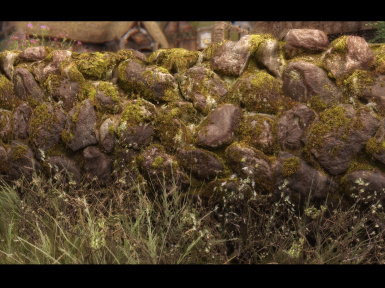 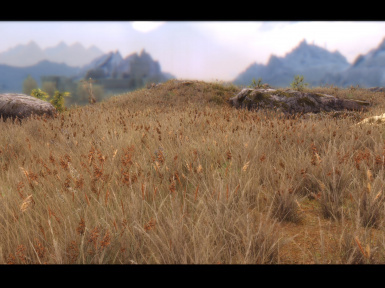 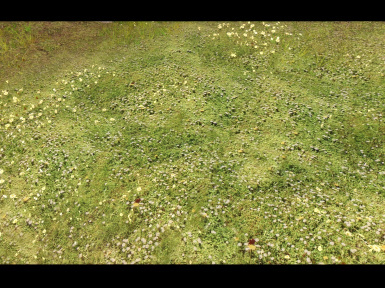 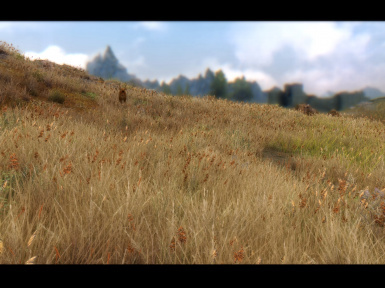 For grass mods, i you are using a custom load order of grass mods with TR grasses on it, just replace TR grasses by TR HD. 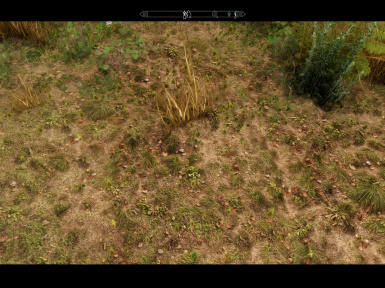 Since i moded 345345435 things, better ask buts it must be compatible with any mod, depends of the load order and install order you do with the mods. 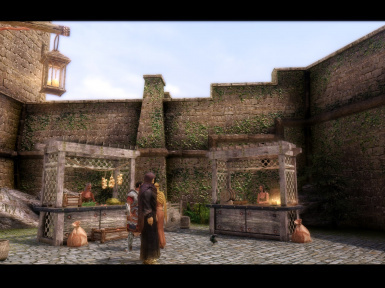 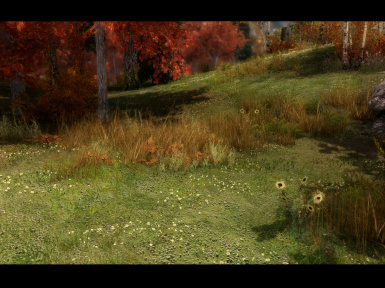 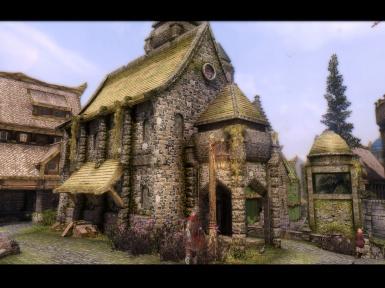 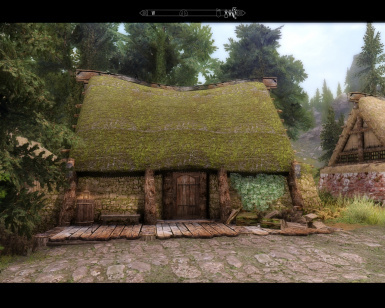 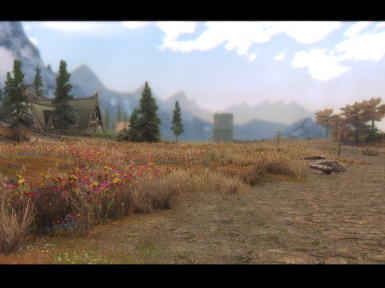 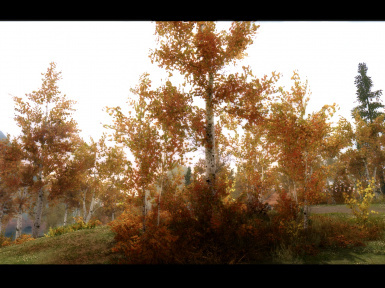 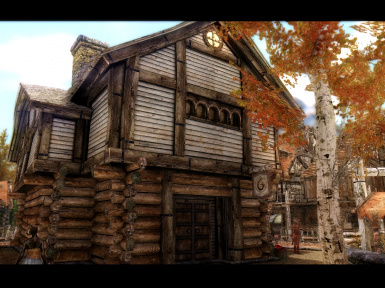 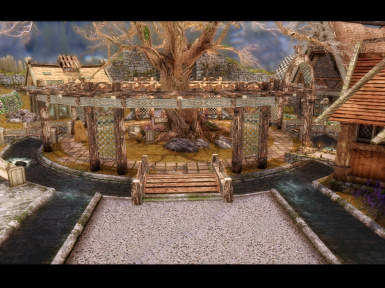 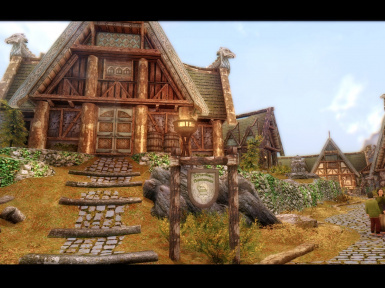 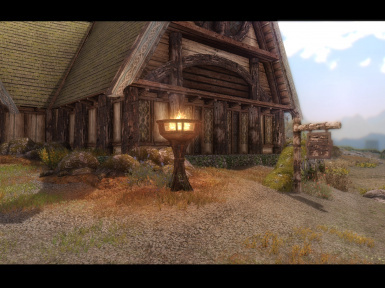 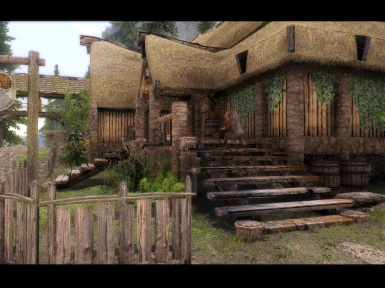 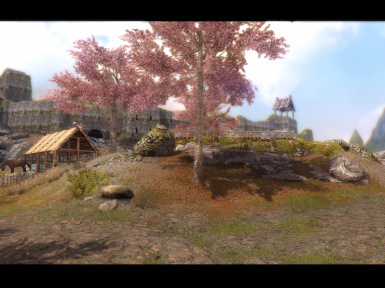 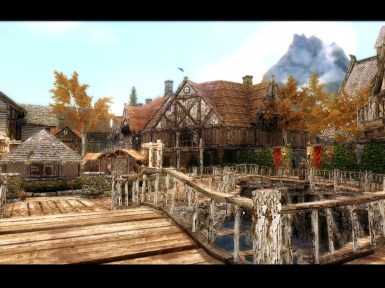 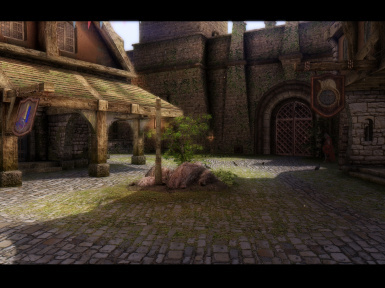 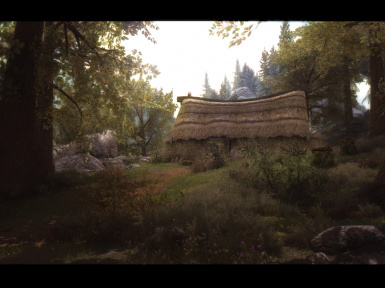 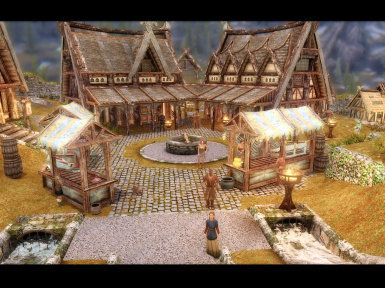 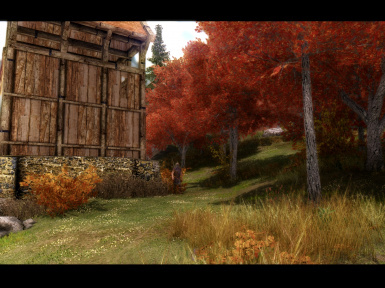 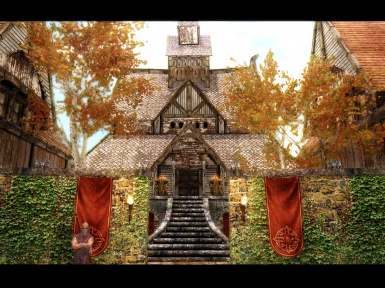 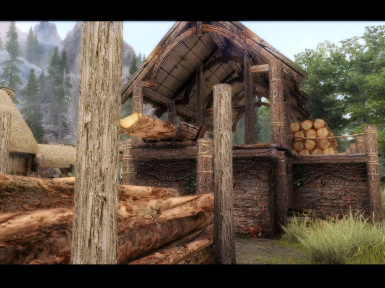 -ETAC (3 blossom trees in whiterun outside market clip with a house). 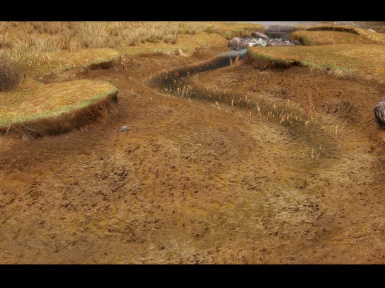 My parallax terrain dont work. 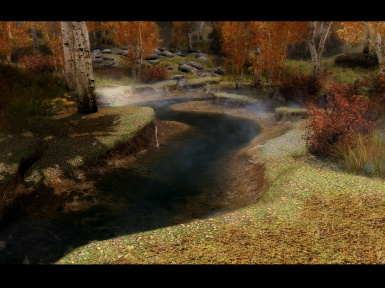 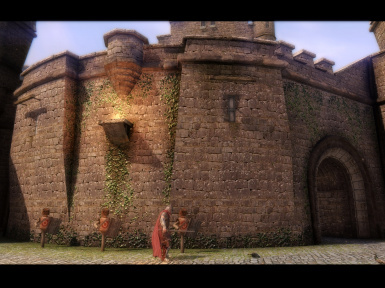 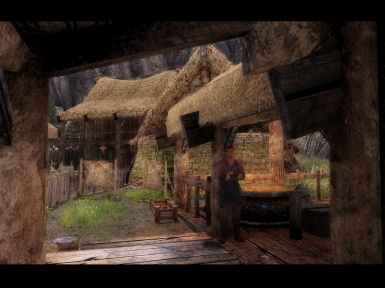 - Or you dint tweak the ini files or you dont have the latest ENB file (265). 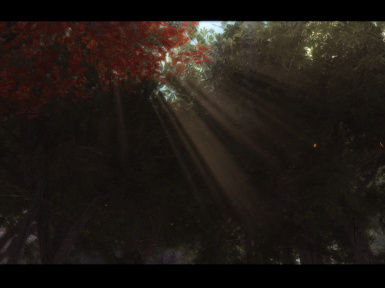 - I can upload it in parts if needed (i already did but im too lazy to edit this line). 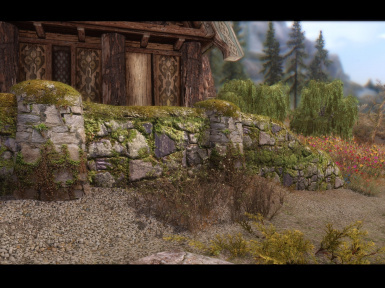 Original file had 4k included and was 3 gb but i decided release the main as 2k files and put the 4k in separate file for better download. 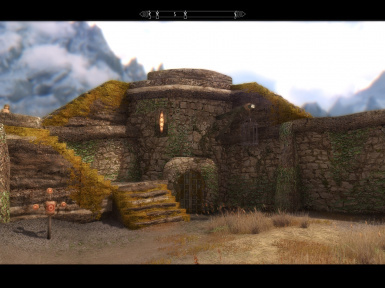 This overwrite all TR mods? 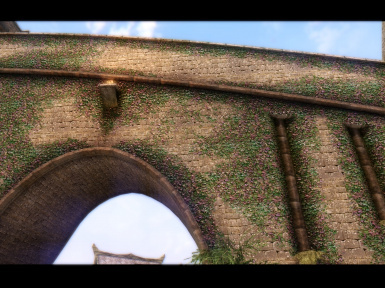 - Yes, overwrite everything and deactivate all TR and immersive roads esp`s and activate only TR HD. 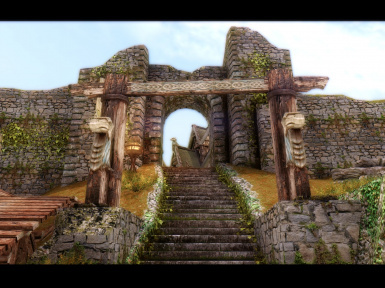 If i update TR HD i will update the other mods if needed. 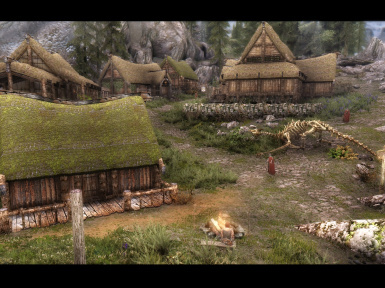 This mod include immersive roads? 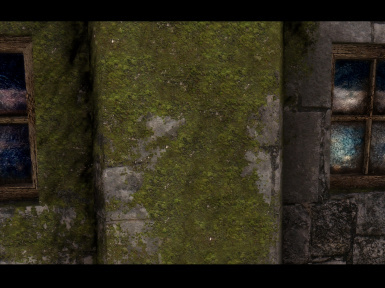 - Yes but not the optionals, no dark, white, normal with or without moss. 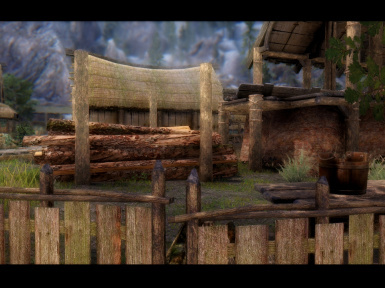 I still have vanilla fences. 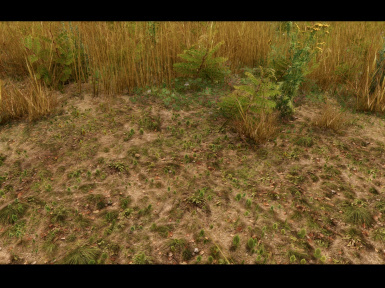 Can i use the immersive roads textures? 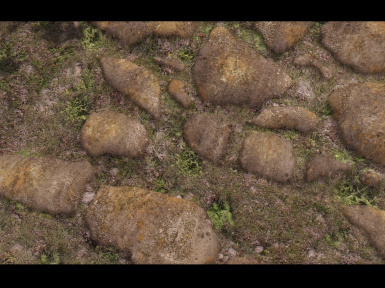 - Yes, copy only the texture folder. 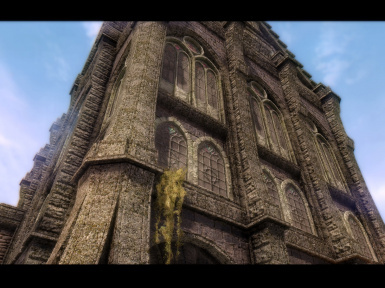 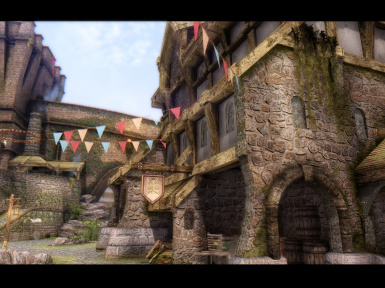 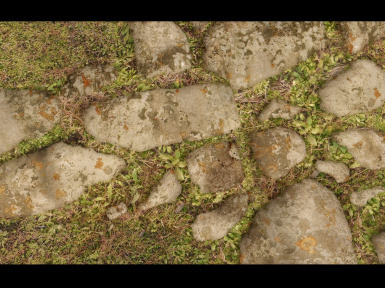 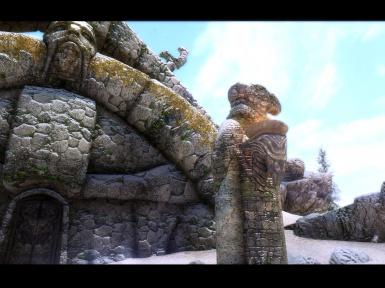 I like more the red road texture in whiterum from TR T & P.
- Copy all wrstonefloor dds textures into /data/textures/architecture/whiterun from TR T & P (same path). 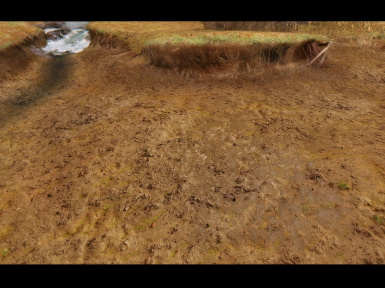 Mmmm... not sure if i will like it. 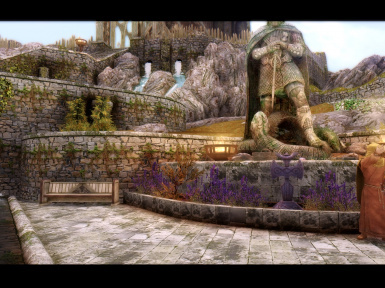 - For that i uploaded 2 vids and 23423432 pics. 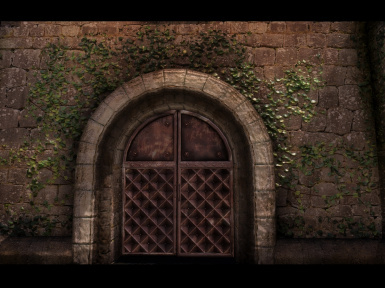 Easy test, backup your whole data folder, install and see. 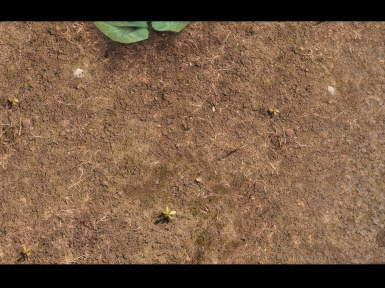 If you dont like, uninstall and reinstall your data folder. 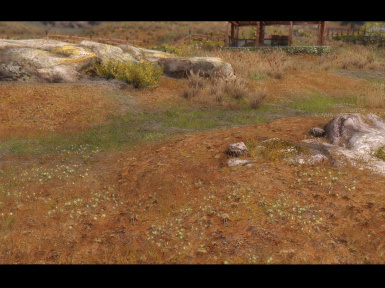 Will this work with super hd grasses 0,5k, Trololo grasses 2k and mega flora 32k? 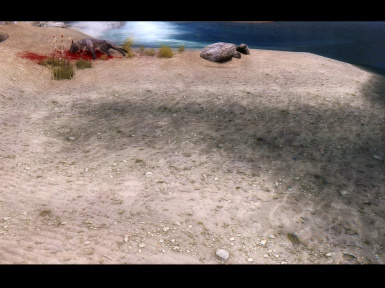 - Burn them with fire. 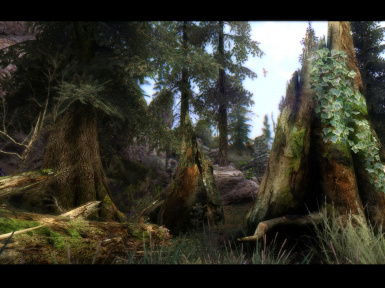 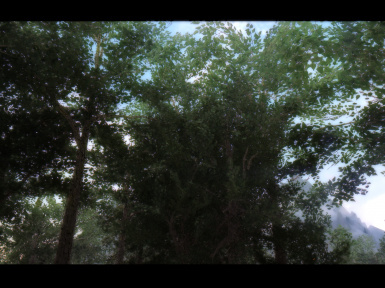 This mod would not be possible without GKB Green Trees from Ga-Knomboe Boy.